Synergy’s biggest North American event will focus on the serious aspects of growing a business. It’s no accident that many of Synergy’s top earners speak of our past BBC events as major turning points in their career. Each year we combine powerful speakers with a serious audience to produce new leaders and renewed motivation. Join us for the 2014 Business Builder Conference to learn along with your fellow Team Members how to reach your highest goals. This is no ordinary QA training! Meet at the Synergy/Nature’s Sunshine (NSP) manufacturing facility in Spanish Fork, UT for so much more than a tour. Here you will be a part of rotating workshops and experience an in-depth education from the experts of NSP’s QA & Health Science staff. Synergy is heavily invested in assuring the highest quality and latest science in our product line. Come learn the facts behind our investment and how it can affect your business for the better. The evening festivities will begin with dinner at the Thanksgiving Point Showbarn in Lehi, UT. This meal is included in the cost of registration. You are responsible for transportation to and from this event. Join our Executive Team, along with your fellow Team Members, as we recognize the achievements so many of you have earned. This evening will be a celebration of Synergy’s mission to leave a legacy. From Star to Presidential Executive, Team Members will be recognized for the lives they've changed through their efforts. 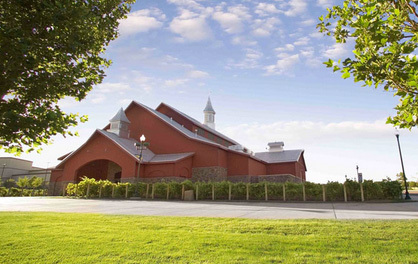 The Thanksgiving Point Showbarn is located at 3300 Clubhouse Drive, Lehi, UT 84043. Hear from Scientific Advisory board members, along with members of the Synergy Executive Team. Plus: Synergy plans to unveil a new program designed to increase your sales and build new levels of volume. Don’t miss it! Hear from talented leaders, including many of North America’s top earners and members of the Synergy Executive Team. Experience an education on the principles of smart business building at this year’s conference. Featuring trainings from key Team Member leaders and other members of the Synergy Executive Team, the energy-packed sessions of the event will provide you with a blueprint for creating a lucrative, rewarding business. Cost is per person and includes access to all conference events. Hotel and transportation are not included. Refunds are subject to a $10 cancellation fee. Registration is non-refundable after May 2, 2014. Synergy WorldWide has negotiated special discounted rates at the following hotels. Rooms will go fast, so don’t delay—reserve your room today! Distance from Thanksgiving Point Showbarn: 0.2 Miles (4 minutes walking). To make a reservation, please call the front desk at (801) 341-6970, ask for the “Synergy” rate. Distance from Thanksgiving Point Showbarn: 8.8 Miles (11 minutes driving). To make a reservation, please call the front desk at (801) 763-8500, ask for the “Synergy” rate. To make a reservation, please call the front desk at (801) 766-1186, ask for the “Synergy” rate. 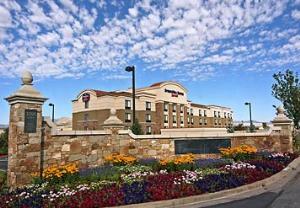 The majority of this year’s conference will be held at Thanksgiving Point in Lehi, UT. In 2013, Thanksgiving Point won the “Best of State” award for “Best Event/Performance Venue.” This location offers welcoming indoor facilities, beautiful outdoor gardens and a variety of attractions to accommodate groups of any size. It is a beautiful venue is centrally located only 30 minutes south of the Salt Lake City airport and 10 minutes from Synergy’s corporate headquarters. The Thanksgiving point signature water tower can be easily seen from both directions just west of the freeway. The first session of the conference, however, will be held at our product manufacturing facility in Spanish Fork, Utah. Synergy WorldWide, in partnership with Nature’s Sunshine, is proud to manufacture our product line in-house under the supervision of well trained experts. Come learn in our labs, hear from great minds, and get much more-than-a-tour as we explore this important building together. 3003 N Thanksgiving Way, Lehi, UT 84043. 1655 N Main St, Spanish Fork, UT 84660. Q. What does the Business Builder Conference registration fee include? A. Entrance into the conference, plated dinner on Friday evening, lunch on Saturday and training materials. Q. What is the dress code for the Business Builders Conference? A. For the Recognition Evening on Friday, many like to dress things up (cocktail dresses for ladies, jackets and ties for men). Dress for the Friday afternoon and Saturday sessions is business casual. Suggestion: The meeting room could be a little cool, bring a sweater. Q. Do I need my own transportation? A. 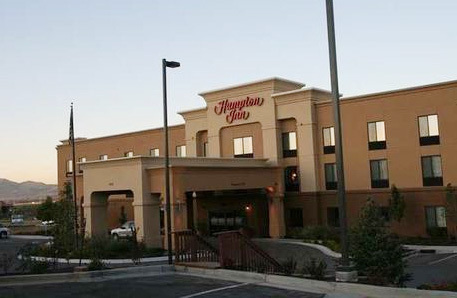 Yes, you must provide your own transportation to your hotel and to both BBC locations (The NSP Manufacturing Facility, and Thanksgiving Point. See Agenda for more information and addresses. Q. Is my registration transferable? A. Yes, you are welcome to change your name or transfer your registration until May 2, 2014. A. You can cancel your registration, but there is a $10 cancellation fee. Registration is non-refundable after May 2, 2014. Q. How can I make changes to my accommodations? A. Please contact the hotel directly to make changes to your hotel reservations. Please note, that each hotel has its own cancelation policy. See Accommodations for more info. Q. When is the last day to register for the Conference? A. May 2, 2014 is the last day to register for the Business Builders Conference. Q. If I don’t register for the event, can I still attend? A. Unregistered attendees will not be provided with meals or training materials and will be unable to participate in raffles/giveaways. Also, space is limited and priority seating will be given to registered attendees. Unregistered attendees will be required to pay an admission fee. Q. Does Synergy have any special rates at local hotels for the event? A. Yes, Synergy has negotiated discount rates for both the Marriott Springhill Suites and Holiday Inn Express. 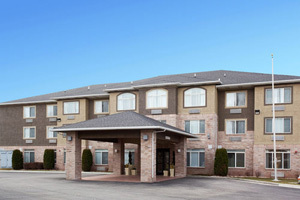 Both are very close to the event with the Springhill suites being within walking distance. See Accommodations for more details. Copyright © 2014 Synergy WorldWide. All rights reserved.